SDL announced today it will introduce an entry-level, low-cost translation memory tool. The new product, the Starter edition of SDL Trados Studio, will be subscription software only, at a monthly fee of 8 Euros. 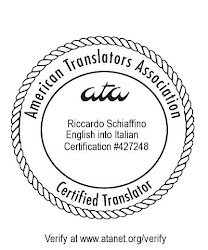 The most serious limitation of the Starter edition is the 5,000 translation units limit per TM: enough for working on a new medium-sized project, perhaps, and therefore for giving a new user an idea of how the full product works; not enough for working on major projects where a translation agency sends to the translator a larger TM. The Starter edition will open only certain SDL translation packages, not all, like the freelance edition. Finally, the Starter edition does not include Trados 2007 or Multiterm. You can read the full announcement on the SDL site, and you can also see there a full product comparison chart. My first reaction: the Starter edition is more of an extended demo than something useful for a professional translator, although it might be good enough for an "occasional translator" (SDL's words). The lack of Trados 2007 means that users of the Starter edition will not be able to handle legacy Trados formats. I believe the aim is to encourage adoption of SDL Trados Studio, which so far has seen little actual use (all the agencies with which we work, for example, have continued to request ttx or bilingual MS Word files, not SDL Trados Studio files). This is also clearly a move against Lionbridge's Translation Workspace, another recently introduced subscription tool aimed at a similar audience. I think this is a sign that Jost Zetzsche's words are becoming true (after the issue of Studio, we and agencies now have the power to choose what tool to use), as the adoption of SDL Studio is slow and doesn't find appreciation by many agencies. As a further confirmation to this trend, I have been prompted by three agencies to switch to MemoQ, and been asked by a couple of others for my opinions on different TEnTs than Trados. There are definitely some changes going on in the industry, and SDL might find a hard time fighting against younger, fast-reacting companies offering better customer support and which are more receptive to translators' need and suggestions. TM software will disappear. Maybe not in 2010, and maybe non even in 2011, but maybe in five years from now. Collaborative platforms will prevail, and they will have to be cheap to succeed. Lionbrige folks are crazy, and believe their suppliers are fools: do I have to pay for working with an obsolete, unstable, and crappy tool? Anyway, asking your suppliers to pay for working with you is bribery. Gli strumenti di gestione delle memorie sono destinati a scomparire per far posto alle piattaforme collaborative. Queste dovranno essere gratuite o quasi per reggere il confronto con GTT et similia. Lionbridge e SDL sono alla frutta, o quasi. Lionbridge, poi, è ridicola: qui, ed è tutto dire, la richiesta di soldi da parte di un cliente verso un fornitore per farlo lavorare la chiamiamo mazzetta, bustarella, tangente. Well.. Now a days end client is also asking us to use the tool for consistency. Dear friends, excuse the elemental question. Does Trados Studio Starter version cease to work after the 5,000 tu's limit and you are then cordially invited to buy the full Studio 2014 version? Frankly, I don't have the faintest idea what that limit means. As far as I know, it means that each translation memory cannot exceed 5,000 translation units, but you should be able to have more than one translation memory. The best person to ask, though, is SDL's Paul Filkin (through his Multifarious blog).